After a relatively moderate run under retiring president Ross Wison, the Council of Trade Unions may head further left when its first female president, Helen Kelly takes over in October. When nominations closed for CTU officer positions, Helen Kelly was nominated as President, while incumbent Carol Beaumont was re-nominated for the role of Secretary. Helen Kelly is currently the Vice President of the CTU. She has been active in "community groups" and unions for many years. In the early '90s she worked for the Community Arts Project in Wellington, touring schools, lecturing pupils about May Day and similar topics. More recently Kelly was Assistant Secretary in the New Zealand Educational Institute, where she played a leading role in the "pay parity" campaign for kindergarten and primary teachers. Since 2002 Kelly has been General Gecretary of the Marxist dominated Association of University Staff. In 1999/2000 Kelly was one of 8 unionists from Labour Party interest groups who advised Margaret Wilson on her new Industrial Relations legislation. 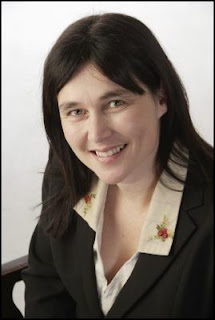 Helen Kelly is the daughter of the late unionist Pat Kelly and his wfe Cath-nee Eichbaum. Both senior Kelly's were prominent members of the Wellington branch of the Communist Party until the entire branch was expelled in 1970. Pat Kelly went on to play senior roles in the Labour Party, though for several years he continued to work closely with former Maoist colleagues in the Wellington Marxist-Leninist Organisation. Cath Kelly has been active in the Womens Council of the Labour Party, but has also been prominent in the Vietnam Action Information Network, a Marxist dominated organisation. Through her mother, Helen Kelly is related to one of NZ's best known socialist families. Cath's sister, Anne, married the late pro-North Korean socialist "economist", Wolfgang Rosenberg. Their socialist sons, George and Bill are Helen Kelly's first cousins. Helen Kelly's offsider at the CTU, Secretary Carol Beaumont is a long time activist and unionist. In 1984/85, Beaumont served as research officer for the NZ University Students Association. The Workers Communist League dominated NZUSA in that era, so it is likely that Beaumont was at least friendly with that organisation. Beaumont next worked for the Nurses Association, also well known for its radical influences. In 1991 Beaumont was spokesman for Gay and Lesbian Unionists for Equality,(GLUE). Beaumont spent most of the '90s with the Marxist dominated National Distribution Union, until taking up a senior post with the CTU in Auckland. In the 2002 election, Beaumont stood for parliament at number 43 on the Labour Party list. In 2003 she represented Labour's Rainbow Branch on the party's NZ Council. In 2003 Beaumont was first elected as CTU Secretary. The same year, Margaret Wilson appointed Beaumont as a CTU rep on a taskforce to progress pay and employment equity between women and men in the public service, the health and education sectors. It will interesting to see how the two militant women running the CTU will approach industrial relations under a possible National government in 2008. Once again Trev you are far too optimistic. The CTU radical! What on earth are you thinking? To someone as far left as you cameron, they are probably not radical at all. I'm just telling it like it is. The CTU only go as far as wanting a Labour government in power. Not particularly radical!